For organizations large and small, the Datacard® TruCredential™ suite is the easier, intuitive solution for creating, issuing and managing secure IDs and credentials. 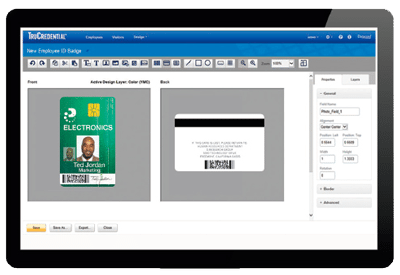 This powerful software suite — complete with next generation technology — empowers organizations to meet a wide range of application requirements, from basic photo IDs to high-assurance credentials. 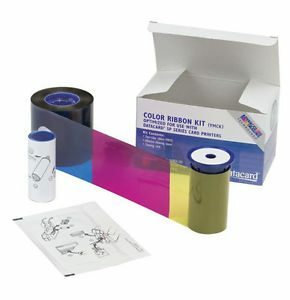 Designed to meet your needs today and set a solid foundation for the future, it offers a series of feature-rich editions and an enhanced user experience. With TruCredential suite, you can easily scale from a single workstation or user to a multi-workstation, enterprise-wide application with more functionality and less complexity. Prices shown are for a single license. Contact Higgins for a multiple license quote. Our integrated approach to issuance and management software, the Datacard® TruCredential™ suite allows you to leverage core technologies across various credential types and applications to meet the unique needs of your program — whether you’re serving citizens, consumers, students or employees. Simple Start-Up. Get up and running faster with Quick Start Wizard pre-configured credential design templates, workflow templates for card configuration, capture screens for easy enrollment and data capture. Plus, pre-built support for desktop printers and capture devices empower you to run your credential program with complete confidence. Powerful User Experience. This web-based software offers a modern approach to the user interface. An intuitive step-by-step set-up and workflow makes it easy to operate, design, print to any device and add multiple users. Single Technology Platform for Varying Needs. 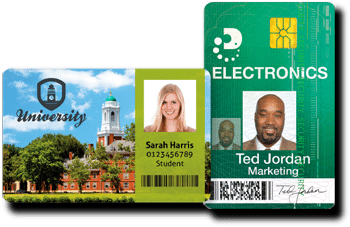 One technology platform to address both Desktop ID and Enterprise ID market segment needs. A future-ready technology supports your features and scalability as your needs grow. Enterprise Functionality. Built based on best practices and industry standards, this suite optimizes your entire credential issuance process by providing pre-built integration with access control and HR systems. Additionally, it provides centralized data management with high security and scalability support.